If you are using SAP HANA, you can have a lot of features on your dashboard. For example, a sidebar. On that sidebar, you’ll be find all related data without any further clicks. 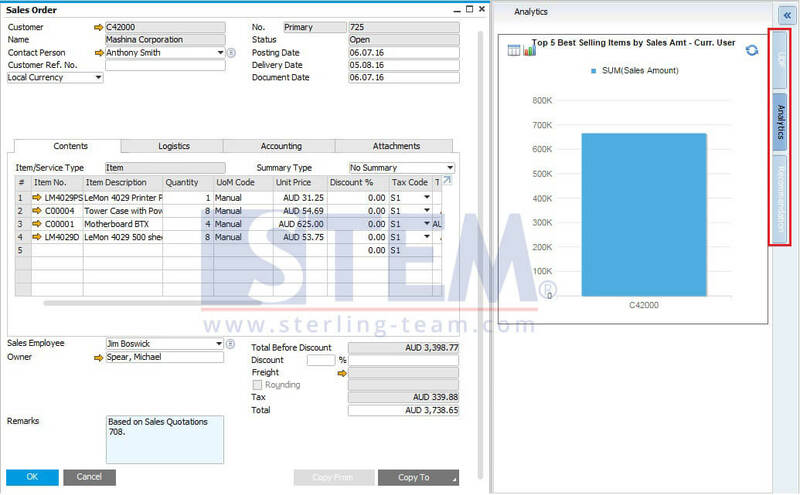 On default setting, your dashboard area related to documents such as Sales Order or Sales Quotation. Before using that sidebar, please activate that function first. 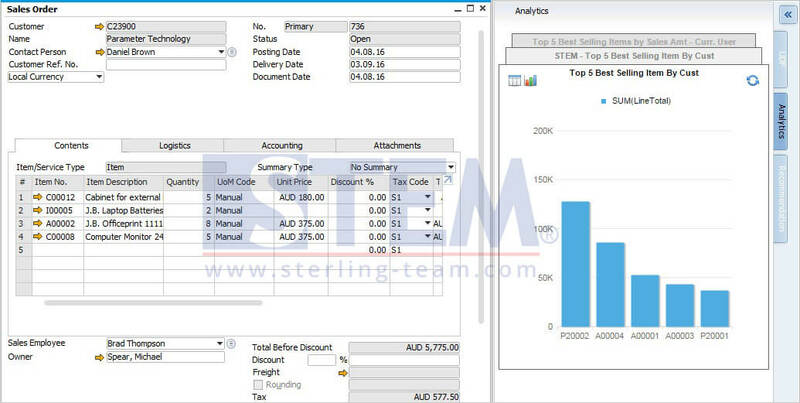 For example, let us explain further on Sales Order screen. On sidebar, there is UDF tab, Analytic tab, and Recommendation tab. You can customize your analytic tab with your custom queries from pervasive analytics menu. You can simply check on your dashboard, choose your queries that you want to assign to analytic tab on specific document (sample: sales Order). 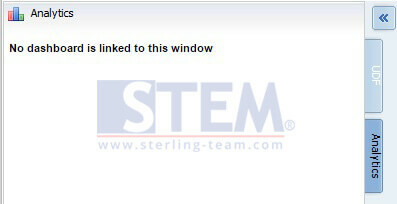 Click on Action, and click (+) on Display Dashboard in Sidebars option. Don’t forget to save your changes with click button √. And for Recommendation tab, there will be some items that recommended for specific BP Code base on their history transaction on SAP. And, you can add more than one Analytic tab on each document sidebar. This option is applicable also to Activity, Incoming and Outgoing Payments. 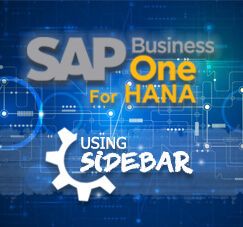 Available in SAP Business One, version for SAP HANA.